How do you represent a software architecture? You can use a set of viewpoints including a conceptual architecture view, module view, execution view, and code view. This set of architectural viewpoints was originally proposed by Hofmeister, Nord, and Soni in their book Applied Software Architecture. In A Practical Guide to Enterprise Architecture (Coad Series) , James McGovern, Scott W. Ambler, Michael E. Stevens, James Linn, Vikas Sharan, and Elias K. Jo write about the conceptual architecture view, the module view, the execution view, and the code view. The conceptual architecture view is similar to the logical view in the 4+1 view model. However, the conceptual architecture view is more conceptual and broader in scope. It takes into account existing software and hardware integration issues. This view is closely tied to the application domain. The functionality of the system is mapped to architectural elements called conceptual components. These conceptual components are not mapped differently to hardware, but they are mapped to a function that the system performs. 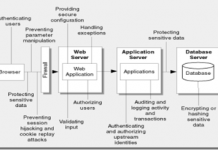 This view provides an overview of the software architecture. It is the first place that people will go to find out how the system does what it is supposed to do. The module view of software architecture shows how the elements of the software are mapped into modules and subsystems. The module architecture view shows how the system will be partitioned into separate run-time components. The execution view of software architecture shows how modules are mapped onto the hardware of the system. This view shows the run-time entities and their attributes and how these entities are assigned to machines and networks. It shows the memory usage, processor usage, and network usage expectations. This view shows the flow of control between hardware systems that execute the software of the system. The code view shows how the source code and configuration are organized into packages, including package dependencies. It also shows how the executable portions of the system are built from the source code and configuration. How does the system fulfill the requirements? How are the commercial off-the-shelf (COTS) components to be integrated, and how do they interact (at a functional level) with the rest of the system? How are domain-specific hardware and/or software incorporated into the system? How is functionality partitioned into product releases? How does the system incorporate portions of prior generations of the product and how will it support future generations? How are product lines supported? How can the impact of changes in the requirements domain be minimized? How is the product mapped to the software platform? What system support/services does it use and where? How can testing be supported? How can dependencies between modules be minimized? How can reuse of modules and subsystems be maximized? What techniques can be used to insulate the product from changes in third-party software, changes in the software platform or changes to standards? How does the system meet its performance, recovery, and reconfiguration requirements? How is resource usage balanced? 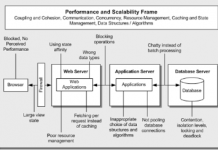 How are concurrency, replication, and distribution handled in the system? How can the impact of changes in the run-time platform be minimized? How are the builds done? how long do they take? How are versions and release managed? What tools are needed to support the development and configuration management environments? How are integration and testing supported? 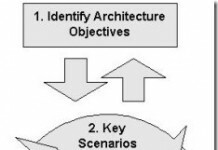 The conceptual architecture view is a high-level map of how the system does what it’s supposed to do. The module view shows how the key elements of the software are mapped to modules and subsystems. The execution view shows are modules are mapped to machines and networks. The code view shows how source code and configuration are organized into packages and dependencies. Hello. And Se ya later)).